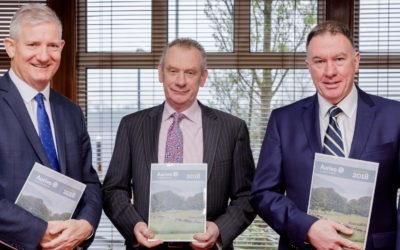 Aurivo, the globally-focused Agribusiness which is headquartered in the North West of Ireland, recently coordinated a new Labour Management course for its dairy suppliers in conjunction with Teagasc and Macra Skillsnet. The abolition of milk quotas in 2015 was a turning point for the Irish dairy industry as many farmers seized the opportunity to expand their enterprise and increase production capacity. The course was designed to help Aurivo’s suppliers manage and motivate employees and to put in place an overall management structure, as farmers now manage employees on the farm as part of business operations. Attracting and retaining labour to work on farms is an area that the dairy industry is struggling with. 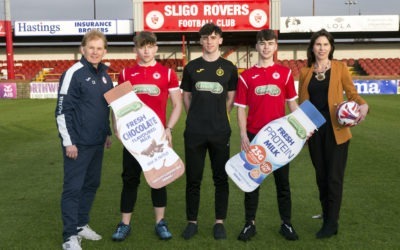 As dairy farming continues to grow, the need for the provision of labour is becoming increasingly important for farmers and the requirement to pursue a sustainable business model which will in turn facilitate an appropriate work-life balance. Twenty-two Aurivo suppliers participated in the first roll out of the course which took place over a 5-week period. The course was facilitated by Dr. Nollaig Heffernan, an independent management consultant who specialises in the Dairy industry. The Workplace Relations Commission and Teagasc specialists also contributed to the course. 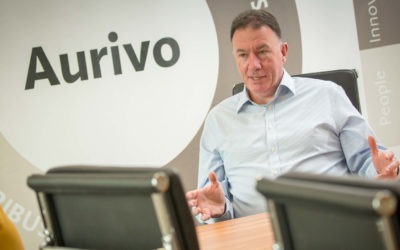 Aurivo will co-host the Labour Management course again in the Autumn for its suppliers who did not secure a place on the first course. As part of the farm profitability programme, Aurivo is working with its farmers to improve family farm income and sustain future generations. The labour management course is part of a series of initiatives coordinated by Aurivo to ensure the future sustainability of our family farms.